BRIDGEWATER, Mass. – After two years as the top team in Div. 2 South, defending state champion Foxboro saw its quest for a three-peat come to a very abrupt end on Wednesday night against Pembroke at Bridgewater-Raynham High. The Titans held the Warriors, who led the Hockomock League in scoring at more than 60 points per game, to single digits and no more than three made field goals in each quarter. Pembroke pulled away in the second quarter and left the Warriors in the rearview mirror, pulling out a 50-24 victory that sends the Titans to the South final. 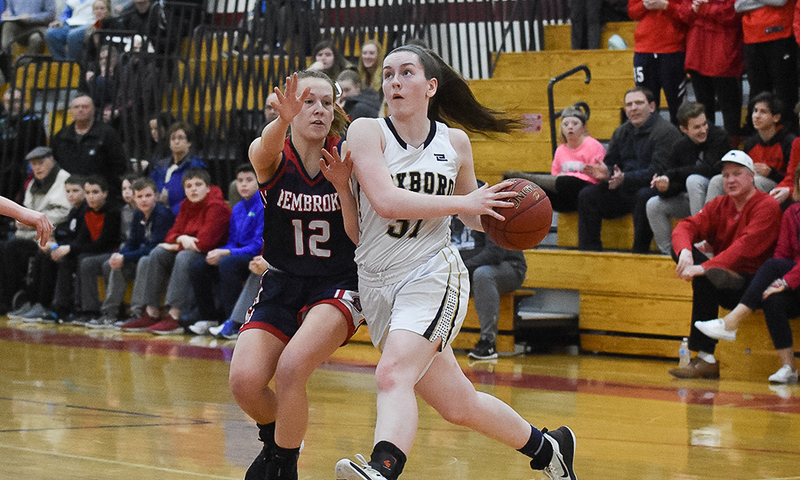 It was obvious from the start that Foxboro had the target on its backs and Pembroke wanted to be the team that ended its run. Chelsea Gibbons, who scored half of her team’s points, opened the game with a three that barely even made the net ripple as it dropped through. Foxboro didn’t score again for more than six minutes. Pembroke went on a 13-0 run to take control. The Warriors did climb back into the game before the end of the quarter. Jordyn Collins drove baseline for a layup and Yara Fawaz got one at the line after a rare offensive rebound. Gibbons (12 points) swished another three and suddenly it was a four-point game (13-9). It felt like Foxboro was on the verge of righting the ship and preparing to go on a run to get back in front. That wasn’t how it played out. The Titans came out firing in the second, knocking down each of the first five threes that they took. Gibbons hit a third from beyond the arc to cut the lead to 19-12, but then three more triples for Pembroke pushed the lead to 14. Lizzy Davis got her only points on a putback but the Titans went into the break leading 30-14. Jayne Howe hit three from the outside in the second quarter and scored 15 of her 17 points in the opening half, outscoring the Warriors by herself. Pembroke used a 17-5 quarter to pull away. Katelyn Mollica knocked down her only jumper of the night to bring Foxboro back within 18 at 35-17 and then Gibbons answered a Pembroke basket with another three. It was as close as Foxboro would get. In fact the Warriors only managed four more points for the rest of the night. Abby Hassman and Collins each scored in the fourth quarter but that was all that the Warriors managed as Pembroke was running down the shot clock on every possession and typically getting multiple looks thanks to its control of the glass. Coming into the season, following the graduation of influential players like Ashley Sampson, Lily Sykes, Grace Tamulionis, and Shannon Smally, no one saw the Warriors as the potential No. 1 seed in the South. Despite the new faces in the lineup, Foxboro (20-3) still won a third straight league title and reached a third straight South semifinal. NORTH ATTLEBORO, Mass. – Foxboro won a state title last season using mostly a six-player rotation, but this year’s squad relies on eight or more players to contribute in different ways every game. On Friday night at North Attleboro, the Warriors needed every bit of that depth to come away from the Pickering Gym with a win. The league’s top scoring team was held without a made field goal in the first quarter, the league’s second leading scorer, Katelyn Mollica, was held to just six made free throws for the night, and one of Foxboro’s starters, Yara Fawaz, was limited by illness to only a few minutes on the court, but Foxboro still had three players score in double figures and rolled to a 60-29 victory. In many ways, the Rocketeers match up well with the Warriors in terms of athleticism and they came out with a game plan to stop the driving lanes, close out hard on shooters, and be as active as possible on the defensive end. For eight minutes, it worked perfectly. Foxboro was held without a made basket in the first quarter, scoring all five points from the line, including 4-of-4 for Mollica. The problem for the Rocketeers was on the offensive end. North only made three shots of its own and led by just two points after one. Eliza Dion scored four of her six in the first and Colette Petit drilled a three. 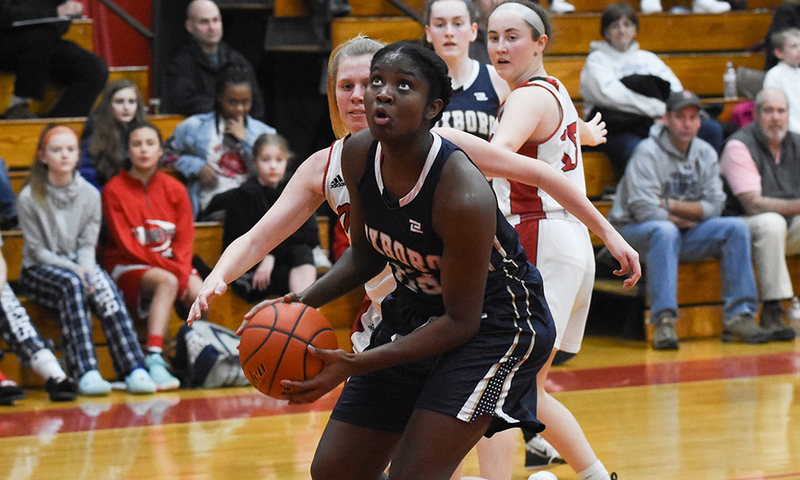 Junior center Shakirah Ketant scored Foxboro’s first basket to tie the game at the start of the second quarter, but Amanda Kaiser answered back with a three to regain the lead. It was the last lead that North would hold, as the Warriors went on a 24-2 run to take control. Lizzy Davis scored nine of her 14 points in the second to spark the Foxboro run, while Chelsea Gibbons added five of her 14. After scoring only five points in the first quarter, Foxboro scored 23 in the second, while holding North to just a handful. Davis knocked down a dagger three-pointer as the half ended, helped by Abby Hassman (nine rebounds) chasing down a loose ball. In the third quarter, the Warriors extended the lead. Gibbons had a steal under the North basket for a layup plus the foul and then Davis nailed a three to push the lead to 20 points. Jordyn Collins knocked down a jumper and Anita Busznyak twice scored on drives to the basket. Although Regan Fein and Michelle Pothier scored for North, the visitors led 42-19 after three. North tried to cut into the lead in the fourth quarter, with Kaiser (eight rebounds) getting a layup off an Olivia Forbes steal and then Forbes following with a three off a Kaiser assist and Julia Feid added three points, but Ketant proved to be too much for the Rocketeers to handle in the post. She scored off a putback, a post move from the left block, and off a steal under the North basket. Ketant had 10 of her game-high 15 points in the fourth quarter alone, and she also added 12 rebounds as well. Foxboro (16-2, 14-2) will head into its annual Warrior Classic to face Old Rochester on Monday night in a battle of the two teams tied for the top seed in Div. 2 South. North Attleboro (6-14, 4-12) will close out its season on Thursday against Weston. The Bombardiers were just two wins shy of a playoff spot last season under new head coach Marty Crowley and Attleboro brings back three starters and has added several new faces to the roster to try and make a postseason push this winter. The graduation of leading scorer Sam Pierce (16 points per game) means that a number of players are going to need to step in and make up for production on offense and on the glass. Senior point guard Jordyn Lako will be back to run the Bombardiers offense and provide three-point shooting, while junior Nyah Thomas is a versatile weapon on the offensive side of the ball. Both are also aggressive defenders, who set the tone on that end of the floor. Senior forward Mackenzie Roberts can score in the post or from beyond the arc and junior Liv McCall is a dynamic guard who is capable of big scoring nights. Defense has always been the focus of teams that Crowley coaches and the Bombardiers will be no different. To keep up that defensive intensity, the Bombardiers have added depth to the rotation. Seniors Abby Struminski and Dom Garnes (who was out last season with an injury) provide leadership, while sophomores Gabby Bosh and Sonny Stuger and freshmen Meghan Gordon and Lillian Froio are newcomers to keep an eye on. 2017-2018 Finish: Reached Div. 2 South first round. Last winter, Canton got a taste of the postseason for the first time in seven seasons and now the program will try to build on that momentum while finding a way to replace the scoring and rebounding of Hannah Jerrier, who averaged a double-double for the Bulldogs last winter. An exciting crop of underclassmen has been added to the roster and now Canton will try to build experience with a schedule that puts them on the road for the majority of the first half of the year. While Jerrier will obviously be missed, the Bulldogs bring back the other four starters and other players with plenty of experience to try and make it a much shorter wait to get back into the playoffs. Senior point guard Julia Hamilton is back to run the offense, senior Erin Devine gives Canton control on the glass and a rim protector on defense, senior Molly Ludwig gives balance to the offense, and senior Maggie Connolly is one of the league’s top defensive players on the perimeter. Senior Nicole Galvin will add depth to the backcourt. Junior Lilah Milton came on strong at the tail of end of last season, including a huge game in the playoff-clinching win over Weymouth, and could take up some of Jerrier’s scoring from the power forward position. Sophomore Kayla Albert gained valuable experience last season as a freshman and current rookies Sydney and Fay Gallery, and Kiara Cerruti have the potential to step right into the rotation and contribute. 2017-2018 Finish: Won Div. 2 state championship. Last season was one to remember for the Warriors, who rolled through the regular season in dominating fashion and lived up to the team’s immense potential by bringing home the Div. 2 state title. With the graduation of a very strong senior class, the expectations are much lower for the Warriors this season but there are several returning players and new faces that have Foxboro coach Lisa Downs confident that the program can continue its recent run of success in the Davenport division. Losing players like Ashley Sampson, Lily Sykes, Grace Tamulionis, and Shannon Smally is a challenge for any team, but the Warriors will bring back a pair of starters from the playoff run in sophomore Katelyn Mollica and junior Abby Hassman. Mollica is the team’s top returning scorer and will be one of the top point guards in the Hock with her ability to shoot and score off the dribble. Hassman gives Foxboro a strong presence on the glass and showed increased confidence in her offensive game at the end of last season. Senior Chelsea Gibbons and junior Lizzy Davis should see increased minutes and bigger roles in the offense this year. Juniors Shakirah Ketant and Yara Fawaz should give Foxboro more depth in the post and contribute on the glass and both saw limited minutes in the playoffs last winter. Sophomores Adrienne Dunn and Jordyn Collins will be newcomers to the backcourt and have impressed during the preseason, while junior forward Anita Busznyak is expected to see a lot more time this year and could be a player to watch. 2017-2018 Finish: Reached Div. 1 Central first round. The Panthers bring back 10 players from last year’s roster, which reached the state tournament but lost in the opening round to Natick, and there are high expectations on Oak St. as the new season gets underway. Franklin enters the season as the favorite in the Kelley-Rex division and its balanced lineup has the potential to make a run in the state tournament as well. Much of the enthusiasm for Franklin’s chances this winter come from 6-foot-3 center Ali Brigham. The junior recently committed to George Washington (where her father once played) and is the lone returning player from last season HockomockSports.com First Team. While she (deservedly) garners much of the attention, the Panthers have a number of other weapons to give the opposition headaches. Senior guard Bea Bondhus, who committed to Springfield College, is one of the top three-point shooters in the Hock and sophomore guard Elizabeth Wilson is back from an injury that cut short the promising start to her varsity career. The Panthers will also bring back versatile junior forwards Megan O’Connell and Breanna Atwood, who add size in the paint but can also take defenders off the dribble or knock down outside shots. Seniors Hailey Sanders and Calen Frongillo add depth to the frontcourt, while senior Shannon Gray and juniors Kelsey MacCallum and Sydney Garilli are capable of stepping in at either guard position. King Philip had to battle injuries throughout head coach Amy Siggens’ first year in charge, including a late season injury to leading scorer Shannon O’Connor, but the Warriors are healthy coming into this season and with a year to get use to a new system, confidence is high that KP can make a push up the standings and fight for a postseason berth this winter. O’Connor is the key piece returning for the Warriors. A four-year varsity player who has been recruited by Div. I college programs, O’Connor gives KP a consistent scorer and someone who will draw opposing defenses. Senior Julia Leroux will be back at the point and running the KP offense, while junior Faith Roy is the team’s best outside threat and has developed as a ball-handler who can score in a variety of ways. Sophomore Emma Glaser, who battled injuries throughout her freshman season, will add versatility to the lineup and can play multiple positions and her classmate Courtney Keswick is a newcomer to watch in the backcourt. The Warriors will also have strength in the post with senior Catherine Cummings providing a solid presence on the glass and junior Faye Veilleux giving KP length and athleticism at the forward position. Newcomers like junior Taylor Butler and returning senior Kendall Mason will give added depth and strong play on the defensive end of the floor. 2017-2018 Finish: Reached Div. 1 South final. After three straight league titles and four trips to the Div. 1 South semifinal in the past four seasons (including back-to-back finals), Mansfield has been one of the most consistent teams in the Hockomock League, but the Hornets enter this season trying to replace Meg Hill, who scored more than 1,000 points and pulled down more than 1,000 points in her stellar career. With 10 seniors and loads of athleticism, this might be a very different looking Mansfield attack, but one that has the potential to keep the Hornets right back on top in the Kelley-Rex division and capable of making another deep tournament run. The Hornets have been known for slowing the ball down and running intricate sets, but this team is suited for getting up and down the court as quickly as possible, highlighted by senior guard Mady Bendanillo, one of the quickest players in the Hock. Senior forward Maggie Danehy has emerged as a strong interior scorer and someone who can control the glass, but she is also someone who can run like a guard and get out on the break for easy baskets. Seniors Sydney Mulkern and Erin Daniel add wing scoring and are both solid shooters who can spread the floor and open lanes to the basket. Athletic senior forwards Emily Vigeant and Steph Kemp can outrun many of the guards in the league and senior point guard Kara Bendanillo is another speedster who can push the ball off makes or misses. Sophomore Ashley Santos saw time last year as a rookie and adds to the frontcourt depth and versatility, while junior Becca Hottleman will be back to give Mansfield another option at guard. 2017-2018 Finish: Reached Div. 2 Central quarterfinal. Milford coach T.J. Dolliver brings back six players from the team that not only reached the state tournament last season but also went on the road and beat Burncoat handily, the program’s first playoff win since 2001. The problem for the Hawks is that almost the entire rotation from last year’s team has graduated, including 1,000-point scorer Kate Irwin. While this may be a rebuilding year for the Hawks, Dolliver sees it as an opportunity for players to step into new roles and establish themselves as starters and as regular contributors. The lone senior back from last year is forward Grace Risio, who Dolliver said made a difference when she was given the opportunity last year, and sophomore guard Jillian Michelson saw some time in the backcourt as a rookie. The Hawks will have eight sophomores on the roster this season, so it is clear that Milford is going to try and build with youth, similar to several teams from last year. Among the players from last year’s roster, forwards Katie Maietta, guard Emma Lawrence, and forward Carly Ferreira all got time as freshmen and could see those minutes increase significantly this winter. Last year was a tough transition season for the Rocketeers, as North Attleboro moved on from a number of players who were starters for several years and incorporated a number of new, young faces into the lineup. North had a better second half to the season and will try to build on that this winter with a more experienced group of players. Senior Julia Feid is back on the wing and is North’s top returning scorer, coming off a season in which she averaged more than nine points per game. Fellow seniors Liz Smahi and Emma Noreck will add leadership in the backcourt and try to set the direction for the team this year. Junior point guard Olivia Forbes, who was on the HockomockSports.com All-Underclassman Team last season, will be back to get the offense going and provide strong defense on the perimeter. Junior Eliza Dion also returns to add rebounding and interior scoring for a team that can’t count on a lot of height in the paint. The North offense improved over the course of last season with the addition of sophomore Amanda Kaiser (8.6 points per game) and junior Julia Kleczkowski (40 percent from three-point range), who can both fill it up from the outside and who are both willing to take any shot that presents itself. Several newcomers will fill out the roster with the potential of adding important minutes over the course of the season, including sophomore Lydia Santos and Siobhan Weir. 2017-2018 Finish: Reached Div. 2 South quarterfinal. Oliver Ames will be making a transition this year following the graduation of Kayla Raymond, who was a two-time HockomockSports.com First Team performer and last year’s league MVP (and is already a three-time Rookie of the Week at Stonehill College), but the Tigers have a number of returning players to try and make up for Raymond’s production on both ends of the floor and make another run at a league title. Senior Alex Sheldon grew in confidence over the course of last season and became a double-double machine by the end of the year, dominating on the glass and improving her finishing around the rim. Junior Erin Holberg emerged last year as a strong scorer on the perimeter with her touch from the outside and ability to take defenders off the dribble. Junior Meg Holleran is in her third season on varsity and is a tough, physical defender who can knock down shots from the outside. Sophomore Caroline Flynn had a strong freshman season, playing several positions (from point guard to small forward), crashing the boards, and showing off decent range. The return of senior Sadie Homer will add energy on both ends of the floor and give the Tigers another strong outside shooter to stretch the floor, while senior Ally Scolnick came off the bench last season to add another shooter to the OA offense. It was a tough winter for new Sharon coach Sandra Lombardi, as the Eagles struggled to a two-win season, but five of their losses were by 10 points or fewer and they return all but one player from last season’s team. With a year to get acclimated to Lombardi’s system, an experienced roster of returning players, and several newcomers, Sharon has its sights set on getting into the postseason for the first time since its run to the Div. 2 South final in 2013. 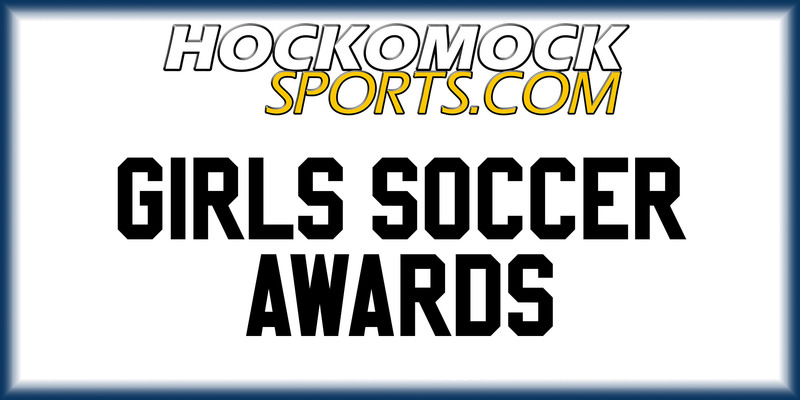 Sharon returns its leading scorer and playmaker in senior Emma Eberhardt, who was on the HockomockSports.com Third Team last season, and she will once again be the focal point of the offense, as well as one of the team’s leading defenders. Eberhardt’s versatility as a wing player should open things up for junior guards Kaitlyn Wallace and Ally Brown, who will both fill in as ball-handlers after the graduation of Miranda Cheung. Wallace will extend defenses with her shooting from the outside and Brown adds energy to the backcourt defense. Senior guard Bridget McManus will add depth and junior forward Telishya Herbert provides a strong presence in the paint. Junior Olivia Langol-Leonard added frontcourt depth and was active on the glass in her time on the court, while senior forward Evanjuline Elisma can score in transition and adds another solid wing defender. Stoughton started last season with five straight defeats and only one win in the opening eight games, but the Black Knights turned things around with a vengeance, winning 11 of its final 12 games of the regular season and winning its opening game of the state tournament. Stoughton’s only two losses in its final 14 games of the season were to state champion Foxboro. That is a lot of momentum for the Black Knights to carry into this year. It may be a little different look for Stoughton this winter after the graduation of Val Whalen and Jordan Motley. Instead of being a team that dominates the paint, there will be a host of guards and wing players who can still battle on the glass, but will bring energy and tenacity on the perimeter on both ends of the court. Junior Aliyah Wright is back as the team’s point guard and her length makes her a factor guarding multiple positions. Senior Lindsay McDonald adds versatility as a combo guard and sophomore Sydnee Hyacinthe is a dynamic guard and stretches defenses with her ability to shoot from the outside. While there are a lot of familiar faces returning for the Black Knights, there are several players who will have more responsibility this year and the potential to make big contributions. Junior Lexi Baptista defends well at the forward position and gives a different look on the post, while seniors Hailey Egan and Heather Maddalena will add extra toughness to the backcourt. Junior Shyanne Trinh is still battling an injury at the beginning of the season, but she will give Stoughton a big scoring boost when she returns. Taunton started last winter well and had the potential for making a return to the state tournament, but injuries slowed things down for the Tigers and they missed out on the postseason. While the year didn’t end the way they would have hoped, a number of younger players were given valuable varsity experience and there are a number of returning players ready to make an impact. Senior Lily Patneaude will be the player to watch for the Tigers, as the team’s leading scorer from last year. After battling an injury down the stretch, her return gives Taunton a consistent primary offensive weapon and takes some of the scoring pressure off her teammates. Senior point guard Alexa White is also back to provide leadership, energy, and tenacity on the defensive end of the floor. Sophomore Kelsey White showed flashes as a rookie of being the secondary scorer that Taunton needs, with her ability to knock down shots from the outside and take defenders off the dribble. Even with a year of experience, Taunton is still a relatively young team. Sophomores Jaelyn and Sonya Fernandez will provide athleticism from the forward positions and give Taunton effort in the paint, while sophomore Tori DaRose, and freshmen Abby Souza (who saw brief minutes as an eighth-grader last season) and Braeley MacDonald give the Tigers depth off the bench. Below are the official 2018 Hockomock League Girls Soccer All Stars, selected by the coaches in the league. SOUTH EASTON, Mass. – Two years ago, Foxboro was on the verge of beating Medfield before a late goal forced overtime and eventually Medfield won on penalties. It was the third straight year that Foxboro’s season ended at the hands of Medfield. On Saturday afternoon at Southeastern Regional, the two teams squared off again, with Foxboro seeking a measure of revenge. In the 71st minute, sophomore forward Jordyn Collins made a near post run and met Katelyn Mollica’s corner kick with a textbook volley. The ball arrowed into the top corner and Foxboro held on for the final nine minutes to secure a 1-0 victory and a spot in the Div. 2 South quarterfinal. Following Collins’ goal, Medfield came storming back upfield, as was expected from a physical game that featured end-to-end action. Foxboro survived a dangerous free kick in the attacking third and a number of attempts to play the ball in behind the defense. At the final whistle, the players swarmed to goalie Morgan Sylvestre (four saves) to celebrate the latest in a long line of battles between two perennially strong programs. The first half featured a number of scoring chances for both teams. It started just two minutes into the game when Lizzy Davis turned a corner on goal only for Medfield keeper Izzy Brown to make the save. Two minutes later and it was Medfield’s turn, with Marissa Gorog forcing a save out of Sylvestre. Mackenzi Fraser was next to test the keeper after a nice touch took her past the defender but forced her into a tight angle. Kendra Wentling had a shot from inside the box charged down and the rebound fell to Collins, but she sent it over the crossbar. Medfield looked dangerous on the counter and from set pieces. In one sequence, Stamatos was forced to head a corner over from the shadow of her own goal and then the following corner was nodded on frame, but Sylvestre was quickly down to her right to parry it. The rebound was prodded just wide of the post. Fraser had another chance running onto a through ball from Davis in the left channel but her shot was saved. Medfield nearly got on the board when Stamatos, under pressure, slipped while trying to clear but Emma Keating couldn’t keep her shot down. Grace Ferguson forced a save with a shot from 20 yards and then Alyssa VandenBoom nearly fashioned an opening with a cross from the left that flashed across goal but couldn’t be turned home at the back post by Jackie Dizney. In the second half, the field tilted as Foxboro took control of the midfield. Wentling and freshman Kailee McCabe were starting to dictate play and get the ball out to Mollica and Davis on the wings. Collins, Fraser, and freshman Kaitryn Franchino all made strong runs at the Medfield defense. Despite the pressure that the hosts were exerting, the only real scoring chance that they fashioned came in the first 10 minutes of the half. Collins was close to breaking the deadlock when she got free on the right side but Brown made a diving, one-handed stop to keep the game scoreless. In the 71st, Collins had another chance and this time gave Brown no chance to make the stop, sealing the win and Foxboro’s place in the next round. Foxboro (15-1-3) will host Notre Dame Academy on Tuesday at a time and location to be determined. North Attleboro, 1 @ Attleboro, 0 – Final – Click here for a recap of this game. Foxboro, 1 @ Canton, 2 – Final – Foxboro took a 1-0 lead into halftime but Canton found the back of the net twice in the second half to take the win. Griffin Roach latched onto a feed from Alejandro Correal to tie the game in the 65th minute. Ten minutes later, Paolo Ruggeri nodded in the game-winner off a cross from Simon Cruz. Joe Cusack put Foxboro up 1-0 midway through the first half on an assist from Nic Beigel. Hockomock Championships (@ Wrentham Development Center) – Click here for the Full Results from the Hockomock Cross-Country Championship. Click here for a Photo Gallery from the girls’ meet. Click here for a Photo Gallery from the boys’ meet. Taunton, 0 @ Attleboro, 4 – Final – Will Halben set up two goals and scored one himself, leading the Bombardiers to a big win at home. Halben had two assists in the opening half, setting up sophomore Justin Lurssen twice as the Bombardiers took a 2-0 advantage into halftime. Joey Soucy and Halben scored in the second half for Attleboro. Foxboro, 2 @ Sharon, 2 – Final – Sharon scored first and last, the final tally in the final five minutes to earn a draw with visiting Foxboro. Junior Michael Baur opened the scoring on a corner kick to put the Eagles up 1-0. Foxboro tied things up with under two minutes to go in the first half when Dylan Barreira finished off a service from Brian Gardner. Gardner put Foxboro ahead in the second half with his first career goal, getting on the end of a service from Joe Cusack. Baur brought the Eagles level with a penalty kick in the 76th minute. Oliver Ames, 0 @ Franklin, 2 – Final – After a scoreless first half, Franklin scored a pair of goals early in the second half to earn a victory over visiting Oliver Ames. Tim Duval opened the scoring for the Panthers off an assist from Nitin Chaudhury. Before the 50th minute, the Panthers added to their lead when Nick Barry set up Donny Tappin to make it 2-0. Mansfield, 1 @ King Philip, 0 – Final – Mansfield grabbed the lead late in the first half and fended off the Warriors the rest of the way to grab two points on the road. Freshman Dylan Buchanan headed in a corner kick from Luke Savoie in the 32nd minute for the game-winner. Cam Bovey made eight saves for the Hornets to record the shutout. Stoughton, 1 @ Milford, 9 – Final – Milford junior Walisson de Oliveira scored three goals in the first half as the Hawks picked up a big win at home. de Oliveira finished with four goals and an assist as Milford assumed a 4-0 lead at half. Anthony Salvador and Omar Lema each had a goal and an assist, and Lucas Da Silva and Pedro Da Silva each scored once for Milford. Leo Coelho, Jordan Borges, and Tiago Carvalho all had one assist. Stoughton’s Ted Lucas scored his second goal of the season, heading in a corner from John Neves. North Attleboro, 1 @ Canton, 1 – Final – Canton scored less than a minute into the contest but North Attleboro was able to pull even before the break, and that’s how the game finished. After the Bulldogs seized a 1-0 lead in the first minute, North Attleboro’s Ashlyn Gaulin scored in the 19th minute off an assist from Kayla Pasqual to level the score. North Attleboro head coach Bill Wallace said Haley Ferrin, Lydia Santos, Bri Westcott and Sam Hawkins played well in the middle for Big Red. Sharon, 0 @ Foxboro, 7 – Final – Foxboro earned a big win at home and clinched the Davenport division title outright, the program’s first Hock championships since 1993. Lizzy Davis had a goal (assisted by Kailee McCabe) and two assists, setting up Jordyn Collins twice as Foxboro rolled at home. Collins also had an assist, setting up Kenzi Fraser. Kailee McCabe, Katelyn Mollica, and Yara Fawaz all scored once for Foxboro. 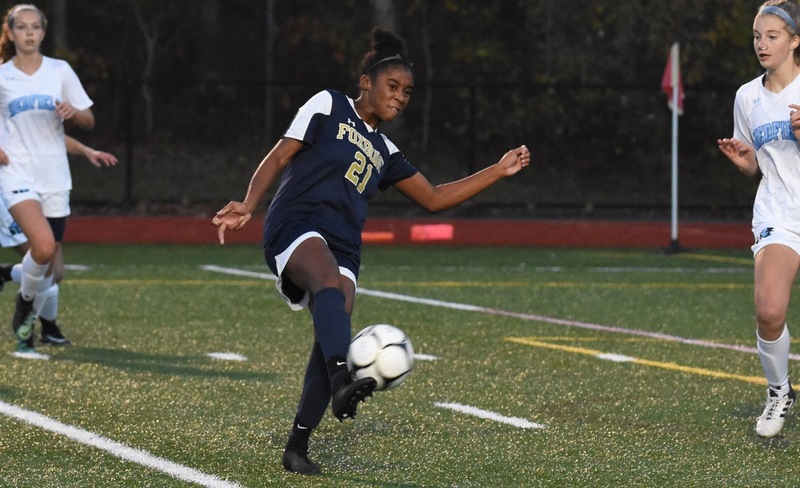 Franklin, 1 @ Oliver Ames, 1 – Final – Oliver Ames took a 1-0 lead late in the first half but Franklin equalized early in the second half to help the Panthers grab a point on the road. Daniella Ferrini put OA ahead in the 38th minute but Sam Powderly tied things up in the 44th minute on an assist from Anna Balkus. Bre Atwood had 10 saves in net for the Panthers while Emily Meyers and Emma O’Donnell both had strong games in net for the Tigers. King Philip, 2 @ Mansfield, 1 – Final – Click here for a Recap and Photo Gallery from this game. Milford, 5 @ Stoughton, 1 – Final – Stoughton’s goal was scored by Gabi Diaz on an assist from Nicole Weir. Taunton, 1 @ Attleboro, 0 – Final – Taunton scored just seconds into the game and held on the rest of the way to earn the win and punch its ticket to the postseason. Alana Tavares scored 22 seconds into the game on an assist from Cierra Bartel for the lone goal of the game. Taunton coach Liz Hathaway said Jocelyn Pagliuca, Jillian Pagliuca, and Lauren Torres all had strong games and goalie Emma Sheehan made 11 saves for the shutout. Oliver Ames, 1 @ Franklin, 4 – Final – Franklin raced out to a 3-0 lead and never looked back against visiting Oliver Ames. Regan Paterson (from Ashley Reutlinger) opened the scoring in the 7th minute, Amanda Lewandowski (from Cassi Ronan) made it 2-0 in the 11th minute, and Victoria Quinn (from Lewandowski) scored in the 18th minute for the 3-0 lead. Ronan (from Lewandowski) made it 4-0 midway through the second half. Georgia Costello got the Tigers on the board on an assists from Kayla Lozzi. Anna Jardine had eight saves for the Panthers while Kara Orstrander made 10 saves for the Tigers. Stoughton, 1 @ Milford, 1 – Final – Click here for a recap of this game – Stoughton opened the scoring before the midway point of the opening half but Milford knotted the game before the break, and that’s how the game finished. After a good hustle play from Brittani Paul, Haley Nelson put a shot on goal and Allie Howe knocked in the rebound to put Stoughton up 1-0. In the 23rd minute, Milford’s Tatiana Martinez found classmate Kathryn Swineford open in front for the tying goal. Mansfield, 0 @ King Philip, 2 – Final – King Philip scored once in each half to earn a hard fought win over visiting Mansfield. The Warriors took the lead in the 18th minute when Claire Lawler found the back of the cage on a pass from Meghan MacDonald. KP added an insurance goal at the midway point of the second half as Alli Meehan scored on an assist from Kate Lindmark. Taunton, 2 @ Attleboro, 3 – Final – Attleboro defended its home court, knocking off visiting Taunton 3-2 (26-24, 25-15, 15-25, 21-25, 15-10). Attleboro won the first two sets but Taunton rallied to tie it 2-2 before the Bombardiers prevailed in the fifth set. Ana Leonardo had 13 assists, six kills, and four aces, Amanda Kadisveskis added seven kills, five blocks, three aces, and three assists, and Chelsea Calcagni finished with eight kills and a pair of aces for the Bombardiers. Canton, 1 @ North Attleboro, 3 – Final – After falling behind 1-0, the Rocketeers rattled off three straight wins to stun the Bulldogs, 3-1 (22-25, 27-25, 26-24, 25-23). Hayley Gaskin paced the North Attleboro offense while 41 assists with Tatiana Sotelo (22 kills) and Kylie Melanson (18 kills) leading the charge at the net. For Canton, Erin Devine had 10 kills and five blocks, and Nicole brown finished with 28 assists, 20 digs, and four kills. Oliver Ames, 0 @ Franklin, 3 – Final – Franklin took care of business on its home court, handing Oliver Ames a 3-0 loss (25-17, 25-17, 25-18). Lauren McGrath dished out 26 assists for the Panthers with Maggie Doyle (four aces) recording nine kills and Lily Galluccio adding seven kills. Riley Marino anchored the Panther defense with 12 digs. For Oliver Ames, Jordan Bosse had 12 kills, Allie Kemp handed out 20 assists and Sadie Homer finished with 23 digs. Mansfield, 0 @ King Philip, 3 – Final – King Philip defended home court with a 3-0 sweep of Mansfield (25-18, 25-21, 25-11). Shayla Weitzman had a strong game for the Warriors with eight aces, nine digs, and 18 service points, Nicole Coughlan added eight kills and three blocks, and Lily Carlow chipped in with seven digs and a pair of aces. Emily Dardinski led the Hornet offense with six kills, while Greenly Kelly and Olivia McGrath each finished with five kills apiece. Stoughton, 3 @ Milford, 2 – Final – Stoughton prevailed with a 3-2 win on the road over Milford. Delaney Nagel went on a tear at the service line, finishing with seven aces in the fifth set to help the Knights grab the win. Amaya Morris led the Black Knights offensively with 14 kills and 12 blocks, while Molly Turner and Hanna Holden combined for 21 kills. North Attleboro, 14 @ Canton, 10 – Final – Click here for a Recap and Photo Gallery from this game. 1st Quarter: (NA) Nick Raneri 4-yard rush, Tyler DeMattio XP good. 2nd Quarter: (C) Gersom Rivera 5-yard rush, Owen Lehane XP good; (C) O. Lehane 34-yard field goal. 3rd Quarter: (NA) Brendan McHugh 54-yard rush, T. DeMattio XP good. 1st Quarter: (F) Nick Gordon 2-yard rush, Parker Chevront XP good; (A) Justin Cote 83-yard kick return, Colby Briggs XP good. 2nd Quarter: (A) Jason Weir 1-yard rush, C. Briggs XP good; (F) P. Chevront 31-yard field goal; (A) C. Briggs 35-yard field goal. 3rd Quarter: (A) J. Weir 10-yard pass to Ethan Cameron, C. Briggs XP good; (F) N. Gordon 55-yard pass to Marcus Quintina, P. Chevront XP good. 4th Quarter: (F) N. Gordon 11-yard pass to Jack Nally, P. Chevront XP good; (F) N. Gordon 52-yard pass to J. Nally, P. Chevront XP good. 1st Quarter: (M) Michael DeBolt 5-yard rush, M. DeBolt XP good. 2nd Quarter: (M) V. Holmes 7-yard rush, M. DeBolt XP good; (M) Aidan Sacco 12-yard pass to Khristian Conner, M. DeBolt XP good; (M) V. Holmes 6-yard rush, M. DeBolt XP good. 3rd Quarter: (OA) Nathan Cabral 5-yard rush, Cam Perron conversion pass to Darnele Ryan. 4th Quarter: (M) Conner Smith 23-yard pass to Shane Downey, Aridan Archambault 2-point rush good. Milford, 18 @ Stoughton, 15 – Final – Click here for a Recap and Photo Gallery from this game. 2nd Quarter: (S) John Burke 26-yard pass to Alex Iverson, Josh Cocchi XP good; (M) Colby Pires 1-yard pass to Shapel Feaster, XP blocked. 4th Quarter: (M) C. Pires 16-yard pass to Brendan White, 2-pt conversion no good; (S) Christopher Ais 12-yard rush, J. Burke conversion pass to Malachi Green-Hightower; (M) Ryan Pearl 1-yard rush, XP no good. Stoughton, 2 @ Foxboro, 6 – Final – Stoughton scored a pair of first half goals but Foxboro had four straight unanswered goals to pick up a win on the road. The Black Knights opened the scoring in the 16th minute but headed into halftime down 3-2, after being tied 2-2 late in the half. Foxboro added three more goals in the second half. Joe Cusack had four assists and Shane VandenBoom added a pair of goals and an assist to pace the Warriors. Dylan Barreira, Ronnie MacLellan, and Max Beigel all scored once while Nic Beigel had an assists. Stoughton freshman Dante Eschleman scored on a free kick to put the Knights up 1-0. Senior Carter Gerome also scored his first career goal for the Black Knights, assisted by Ryan Reis. Franklin, 3 @ Taunton, 1 – Final – Franklin built a 1-0 lead at half, doubled that advantage in the second half, and walked away with a 3-1 decision to qualify for the state tournament. Nick Barry opened the scoring on an assist from Donny Tappin to give the Panthers a lead by halftime. Tim Duval and Lucas Moura scored second half goals for Franklin. Mansfield, 1 @ Oliver Ames, 0 – Final – Click here for a Photo Gallery from this game. Mansfield senior Ethan Brill-Cass scored game-winner in the 78th minute to give the Hornets a win and at least a share of the Kelley-Rex division title. After a long throw from Dylan Buchanan, Oliver Ames’ clearance was knocked down by a partial block from a Mansfield player. Brill-Cass latched onto the loose ball and placed it into the far corner for the winner. Milford, 0 @ North Attleboro, 0 – Final – Both teams had chances to find the back of the net but didn’t convert as North, Milford settled for their second draw of the season. Kyle Briere made three saves for the Rocketeers while Tiago Carvalho and Lucas Da Silva had strong games for the Hawks. Attleboro, 6 @ King Philip, 0 – Final – KP broke the game open with five goals in the second half. Avery Snead scored a hat trick and had an assist for the Warriors. Snead opened the scoring off an assist by Chloe Layne in the first half. Snead doubled the lead with a penalty kick in the second half and then assisted on a Layne goal. Ally Stanton made it 4-0 from Layne and then Layne assisted on Snead’s third. Layne wrapped up the scoring with her second goal (and fourth point) off an assist by Molly MacDonald. Foxboro, 8 @ Stoughton, 1 – Final – Jordyn Collins had two goals and two assists for the unbeaten Warriors, who maintain their lead at the top of the Davenport division. Mackenzi Fraser had two goals and an assist, Kailee McCabe had a pair of goals, Aislinn Serveas scored her first goal of the season (assisted by Katie Huether), and Lizzy Davis chipped in with a goal as well. Taunton, 0 @ Franklin, 4 – Final – Anna Balkus scored twice and Calen Frongillo had a pair of assists to lift Franklin to a big win to keep pace with league-leading Mansfield. Sydney St. Marie and Bridgette Ginley also scored goals for the Panthers. Hailey Toolin and Kaylee DeSimone each had assists. Franklin goalie Breanna Atwood made three saves for the clean sheet. North Attleboro, 3 @ Milford, 1 – Final – Juliana France opened the scoring for Milford, but Kayla Pasquel answered with a 20-yard strike to tie the game at 1-1. 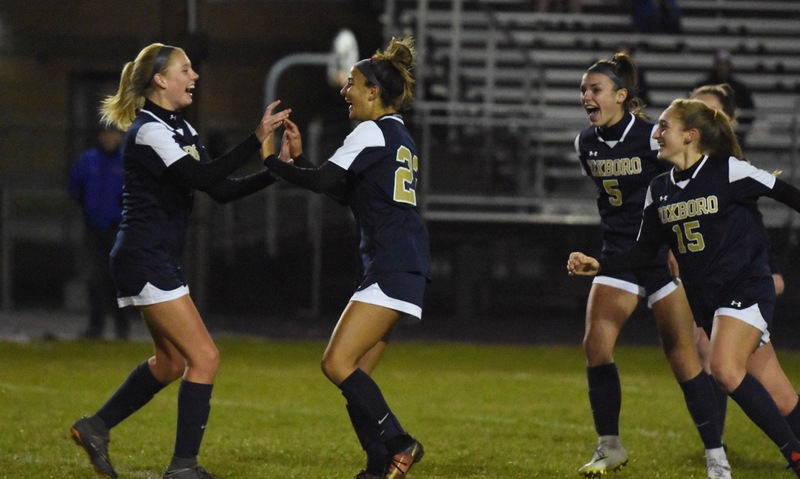 In the second half, Alex Moulson scored off a pass from Lydia Santos for what turned out to be the game-winner and Ashlyn Gaulin, who assisted on North’s first goal, scored off a Pasquel assist to seal the two points. With a goal and assist on Friday, Gaulin moved into third on North’s career scoring list with 82 points. Oliver Ames, 1 @ Mansfield, 4 – Final – Bryn Anderson scored a pair of goals to keep Mansfield in first place in the division. Maria Sevastos and Kerina Geminiani also scored goals for the Hornets, while Katie Garvin, Steph Kemp, and Kaylee Smith all recorded assists in the win. Allison Evin scored for Oliver Ames. Attleboro, 4 @ Bishop Feehan, 0 – Final – Alex Compton and Anna Beck each scored twice for the Bombardiers against their cross-town rivals, while Shea Harrison made 14 stops to earn the shutout. Stoughton, 3 vs. Brockton, 2 – Final – Stoughton broke a tie game inside the final five minutes of the game to earn a win over the Boxers. Alanna McCormick scored the game winner with 4:40 left, while Haley Nelson scored Stoughton’s first two goals. Taunton, 3 vs. New Bedford, 0 – Final – Taunton took a 1-0 lead into halftime and then scored two late goals to secure the win over visiting New Bedford. Cierra Bartel, Caitlin Connors, and Kennedy Thielker each scored once for the Tigers. King Philip, 0 @ Needham, 3 – Final – King Philip suffered a 3-0 (18-25, 15-25, 16-25) setback on the road at Needham. Kristen Masse led the offense with eight kills while Nicole Coughlan had seven kills for the Warriors. Shayla Weitzman finished with 10 digs. North Attleboro, 2 @ Mansfield, 3 – Final – Mansfield overcame a 2-1 deficit, winning the final two sets to prevail 3-2 (3-25, 25-19, 25-27, 25-21, 15-12) in a non-league win over North Attleboro. “It was a great team effort by the whole team,” said Mansfield head coach Melissa Heeden. Abby Sullivan has 18 service points with half of those coming in the fifth set to help the Hornets each the win. Greenly Kelly added 12 kills and four blocks, Olivia McGrath had 11 kills, had Katie Dardinski finished with 15 service points and five digs for Mansfield. For North Attleboro, Brooke Street had a great defensive game while Grace Munley had a strong game at the net with four blocks. Stoughton, 3 @ Brockton, 2 – Final – In one of the tightest matches of the season, Stoughton avenged a five-set loss to the Boxers from earlier in the season with a 3-2 (26-24, 27-25, 23-25, 17-25, 16-14) win on the road. Molly Turner led the Stoughton offense with 18 kills while Delaney Nagel added 14. Amaya Morris recorded nine blocks and Mia Bennett was strong on defense with 38 digs. Franklin, 160 @ Oliver Ames, 150 – Final – In the final dual match of the season, Oliver Ames knocked off Franklin to earn a share of the Kelley-Rex title with the Panthers. Nolan Donze led the way with a 35, both Liam Barry and Justin Shapiro fired rounds of 38, and Thomas Walsh chipped in with a 39. FOXBORO, Mass. – Foxboro not only put its unbeaten record on the line against Milford on Tuesday night at Jack Martinelli Field but also wanted to restore its three-point lead atop the Davenport division, which had been cut to just a single point after North Attleboro’s win in the afternoon. The Warriors, who are the third-highest scoring team in the Hockomock League, came out strong and had the Hawks on their heels from the opening kick, but couldn’t find the back of the net. Foxboro hit the post three times and forced Milford goalie Olivia Marshall into three saves in the first half alone. Frustration was setting in for the Warriors with two minutes left until halftime when Milford cleared a corner to the center of the field. Defender Alex Stamatos, who celebrated her senior night before kick-off, raced onto the loose ball and unleashed a 30-yard blast that smacked off the underside of the crossbar and over the line. It was an impressive first career goal for the center back and it turned out to be the game-winner, as the Warriors added a second after the break to earn a 2-0 victory and stay unbeaten this fall. Milford had the game’s first good chance when Olivia Sullivan slipped a pass in behind the Foxboro defense to Juliana France. The junior midfielder appeared to be clear on goal, but left back Yara Fawaz was able to race back and pressure the shot, which went wide of goalie Morgan Sylvestre’s near post. It would be the best chance of the half for the Hawks, as the field started to tilt towards Marshall in the Milford goal and the Foxboro midfield started to take control. In the 16th minute, Jordyn Collins had a shot cleared off the line by Madelyn Boyle and the follow-up from distance by freshman Kailee McCabe went over the bar. Four minutes later, Mackenzi Fraser got into space on the right side of the box and her cross was forced onto the post by Marshall. Collins had another look from inside the box, but again it struck woodwork. Katelyn Mollica played a ball back into the box from the right but Lizzy Davis had her shot go high. McCabe then forced Marshall into a save with a 20-yard free kick to the bottom corner. On the ensuing corner, Marshall tipped a Davis header away and Alyssa Vandenboom knocked the rebound off the post. After all those chances, it took a golazo to put Foxboro in front. While the Warriors went into the break with momentum, Milford flipped things around to start the second half and controlled the opening 10 minutes. Boyle had a long free kick that was saved by Foxboro’s new keeper Jamie DeVellis and France had a chance off a corner, but her far post header was blocked and she was leaning back on the second effort and the shot went high. In the 59th minute, Foxboro sealed the two points. A corner from Mollica picked out Davis on the edge of the six-yard-box and her downward header deflected off the foot of a defender and flicked into the goal. Marshall was huge down the stretch to keep the Hawks in it. Vandenboom set up McCabe for a one-timer that was saved comfortably, then Davis forced a diving save with a long shot from the right side and Vandenboom had her rebound effort saved. Collins had a breakaway in the closing minutes but was forced to hold up by Boyle and Marshall was able to make the save and then a Mollica corner found Collins’ head but again Marshall made the reaction save. “I wish we would’ve had more, but that’s how it goes sometimes,” Stalcup said. Foxboro (11-0-3, 9-0-3) extended its lead back to three points in the division and will travel to Stoughton on Friday. Milford (3-9-0, 3-9-0) will host North Attleboro on Friday.